Having a passive source of income is seen as the Holy Grail of investing. Rental income is an example of such a source. Over the last couple of years there has been a surge in people looking to invest in rental properties. In order to be successful in that venture, you must first be aware of a few things. You must first realize is that overnight success is not guaranteed. Patience is essential. Plus, you must set realistic goals in order to have a shot at being a successful landlord. Tune out the noise that might compel you to assume that you will have it made in a month. Instead, ground yourself and brace yourself for some work before it can truly be a passive source of income. Educate yourself about the laws governing rentals in Tampa and in Florida. 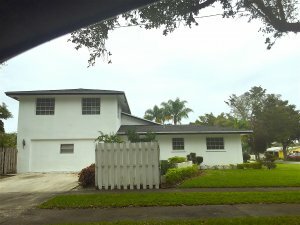 If you want to buy houses in Tampa quickly and rent them, know all the rules of the game inside and out. This will prove a worthwhile investment when or if you ever deal with problems of a legal nature like tenant issues. Besides those two things, you must also know the pros and cons of owning rentals in Tampa. As was highlighted above, renting property is a great source of passive income. It is also very consistent. As long as you have put it the time in selecting the right property that will rent for a good return on investment, you are on your way to a nice passive income stream. Why the term passive, though? It is passive because you don’t actively participate in the making of the money. The property does it for you. It can be truly passive when you hire a property manager to take over the running of the rental for you so that you don’t bother yourself with it. If the rental is located in an area and market with a potential for growth, then your property is more or less likely to appreciate in value. The math will depend on the value of the surround properties and also on factors within the local economy where you are considering buying. Rental properties are assets. Should you require a loan from a financial institution, they can be used as collateral. Most rental property owners who undertake renovations, for example, will fund their project with financing from loans after leveraging their property. There are very little certainties in life and even fewer when you own rental properties. Don’t take a chance on everything working out. If anything goes wrong in your rental property, you must bear responsibility for it. Hence, it is important that you have insurance cover for any mishaps. This might eat into your income but when the right steps are taken to minimize liability, it is worth the investment. No matter how you prepare for tenants, expect to encounter a few very difficult and problematic tenants once in a while. These are tenants from “Hell”. Once they sign the lease it is very difficult for you to get them out even if their lease term has ended. They might wind up causing damages to the property that cost more than their security deposit to repair. Sometimes tenants even lose their jobs and become unable to pay the rent. Then you will be forced to evict them and find new tenants which can cost you lots of time and money. An easy fix for this is to choose tenants wisely and have a requirement for references when interviewing tenants. This way you can identify any red flags about their character and orient yourself accordingly. 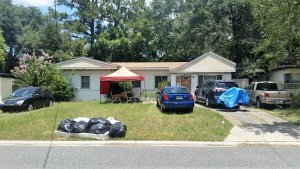 Therefore, if you are looking to buy houses in Tampa quickly and turn them into rentals, you should keep carefully consider pros and cons in this article.